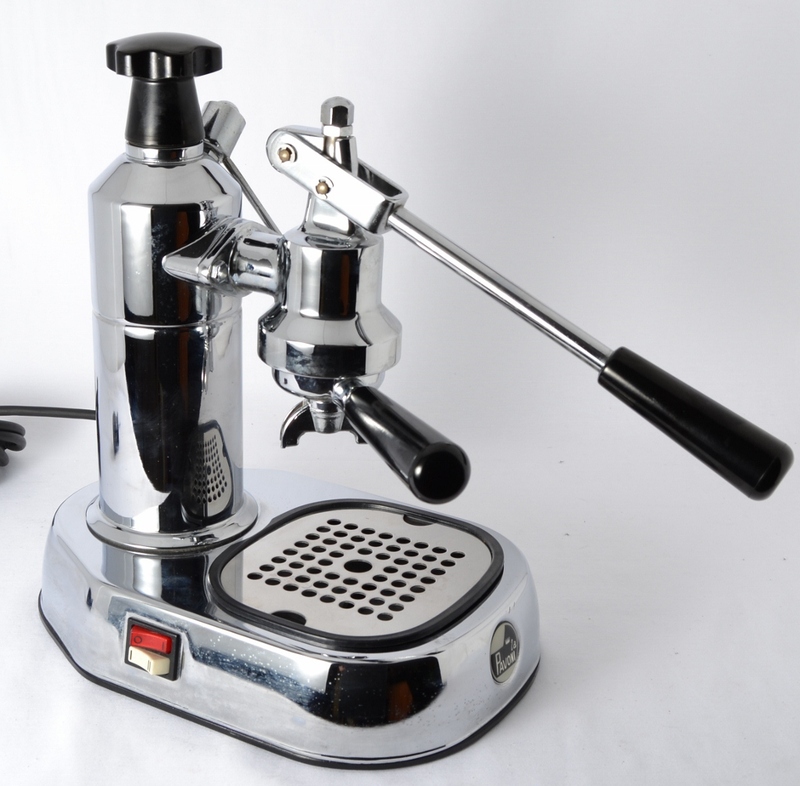 La Pavoni Mignon is the version "poor" of Europiccola and actually is sold only in Germany, where you can buy new or used. 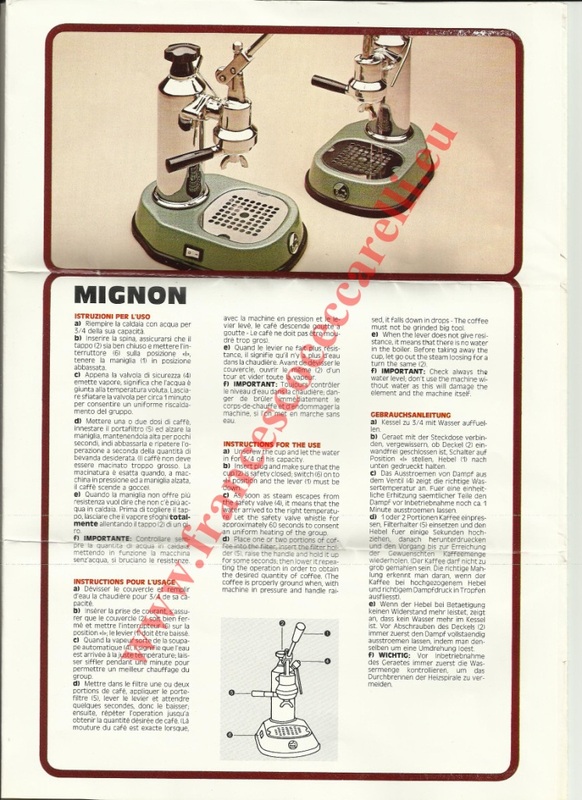 The first models date back to the 70s (1975-1976), were equipped with a single switch (power on and off) and single resistance 600W, that, due to reduced power, allowed to keep the machine on. Later models are equipped with double resistance and double switch (power, minimum and maximum). On the site of La Pavoni is not present any information on this model. © 2009-2015 Francesco Ceccarelli. All rights reserved.